One of those horrible Blitz Basic things. Logo saves it from thumb down. I didn't know EDiS released demos. blitz or not, I think it's okey as an announcement... Logo is great as always from Frost. kempy: Not a side project. Not a demo group either... At least I thought so. 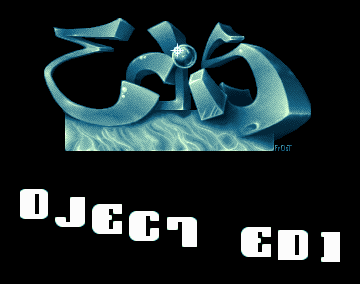 EDiS is not a side project nor demo group. This little intro was just intended as some kind of advertisment. Maybe it's sad when the only think that can be said about a prod is how good it's logo is ;p Brilliant logo though :) And who cares if it's done in BB, if it's good, it's good regardless of how it was done. And who cares if it's done in BB, if it's good, it's good regardless of how it was done. I fully agree but this intro isn't good! I don't think it's a coincidence that about 95% of the BB/AMOS stuff I've seen is utter crap. Nice logo. Not much to see. I don't think it's a coincidence that about 95% of the BB/AMOS stuff I've seen is utter crap. nope, it's no coincidence. if you're good enough to code anything good in BB, then you'd have no problem coding it in C or even asm. but this "looks" no worse than it would if it was coded in machine code and that logo pwns - so thumb. page created in 0.014559 seconds with 15 queries.